Since it’s the last weekend of the trendiest festival of the year, here are some of my favorite picks from the “H&M Loves Coachella” collection. 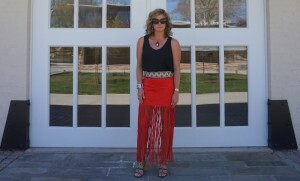 The fringed skirt comes in a pretty shade of red, suitable for a night out or by the beach. The material is imitation suede with a hint of stretch. I found this collection to run a bit on the small side, you might want to size up from your normal H&M sizing. 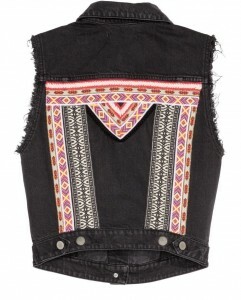 Also, I really like the detailing on the denim vest, which could also be worn with the skirt. 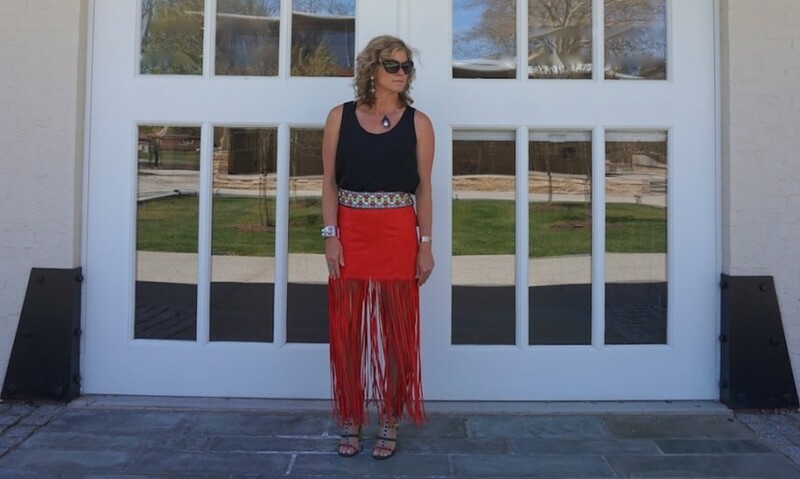 Accessories are Anthropologie belt from several years ago, Valentino rockstud chunky heeled sandal, still plenty in stock at Neiman Marcus. Prada cat eye sunglasses, and Hermes all silver collier de chien bracelet.